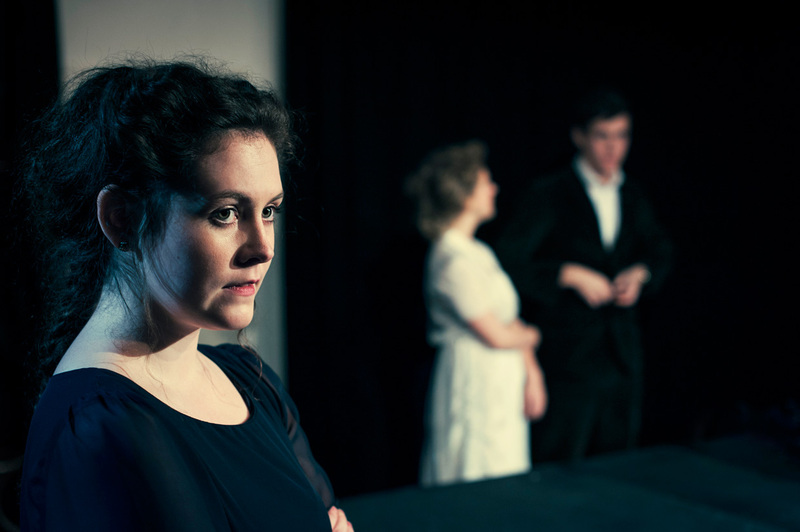 Yesterday I photographed the dress rehearsal for After Miss Julie by Patrick Marber and directed by Aoife Kennan. 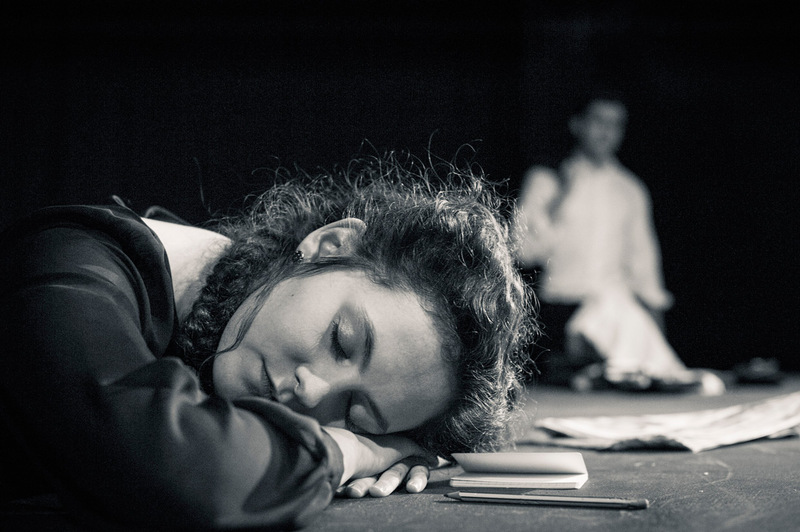 Rose Reade, who plays Julie, has written an article about her preparations for the role. She takes her acting very seriously (read her text to see what I mean). I was tired last night photoshopping, so I started to see all the different photos in the context of the cast’s reaction to her newfound hairlessness. I found it hilarious and it gave the scenes in the play an entire new meaning. I was making up the story as I went through the photos, since I only saw parts of the play and did not know the full story. 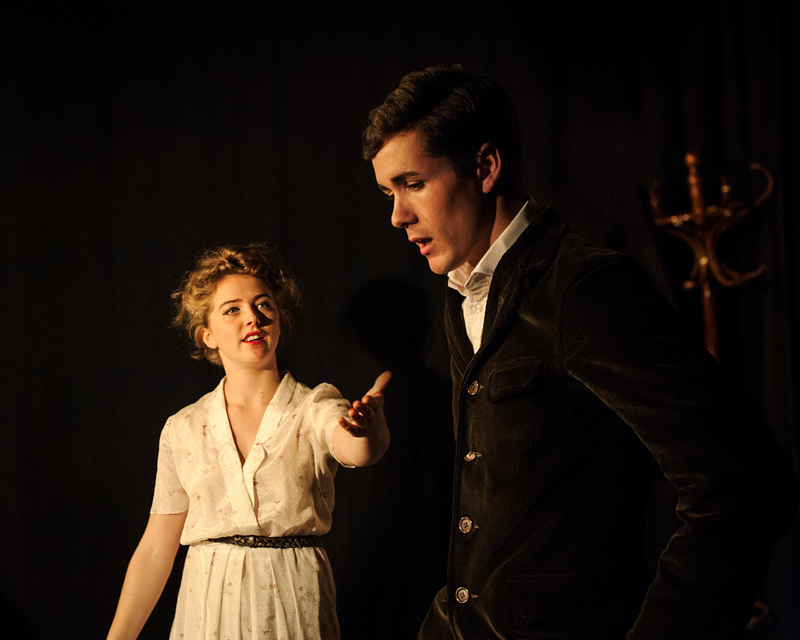 I was tempted to add speech bubbles and thought that we could rename the entire play After Miss Julie Shaved. Apologise if I accidentally turned this serious drama into a comedy for someone. Normally I leave after the dress rehearsal when the director starts going through his or her notes for the actors. This time I had missed the first half of the play, so after the play they redid a few of the scenes that they needed to go through again. It was quite interesting to hear how they worked on the scene, and how they were spending a lot of time understanding their characters and what drives them. This could be useful for me when posing people. By putting the people in the right frame of mind the pieces of the puzzle — pose, interactions, and facial expression — fall into place. The most fascinating thing was that I could sense the difference between the dress rehearsal and these short reruns. The play was evolving in front of my eyes. Kate Reid as Christine. This photo was taken during the extra rehearsal afterwards. I asked Kate to look in the general direction of the camera during one of the retakes. Aoife wondered what she was doing, but I got my shot. 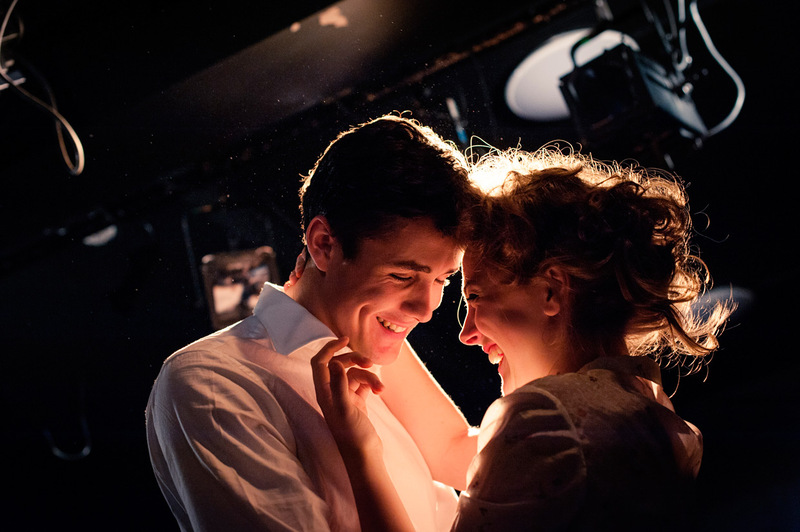 Rose Reade and Jonah Hauer-King as Julie and John. I was shooting with an aperture of f3.5, which means there is quite a narrow depth of field. What you see here is a composite shot of two pictures, one with Rose in focus and one with Jonah in focus. I normally use 2:3 or 1:1 crop ratio, but in this photo there was too much black space on either side, so I tried a 4:5 ratio. I prefer to keep standard ratios in case some of the photos at one point get printed. I like to have someone sharp in the foreground, and then something happening in a blurry background giving context to the photo. Here I tried it in black and white. The last scene we did was the one where John and Julie kiss for the first time. In the play they do it with the white door in the background, however, the light there is kind of boring, so since we were doing this scene just for the camera I asked them to move to a better spot where one of the spotlights would light them from behind. I shot it from a low angle, and there were quite a few things hanging from the ceiling that I had to remove in Photoshop. As with all kisses, they look better just before the faces merge. One last photo to show you how it looked behind the scenes. All the shots were taken with my old camera and the 50 mm lens. The Corpus Playroom feels different to photograph, because the stage is not elevated so you are at the same level as the actors. That also means that I can move around more. For the dress rehearsal I did not want to disturb the actors, but for the extra scenes I first asked where they would be on stage then positioned myself accordingly. Also for some of the scenes I got multiple takes. As I mentioned before I did not have the chance to see the full play yesterday, but the scenes I saw were brilliant. If you have the chance, go see it at the Corpus Playroom tonight. It runs 4-8 October (2014). Varsity gave it 4.5/5, The Tab gave it 5/5 and The Cambridge Student review gave it 9/10.